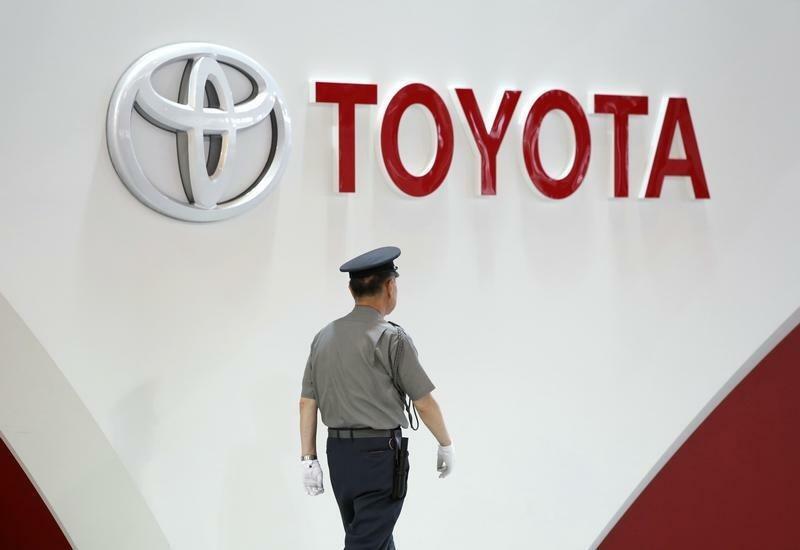 TOKYO (Reuters) - Toyota Motor Corp said on Thursday it would recall 57,000 vehicles globally to replace potentially deadly air bags made by Takata Corp, as a safety crisis around the Japanese auto parts maker looks far from being contained. Toyota's action follows a recall by rival Honda Motor Co for the same problem two weeks ago after revelations of a fifth death, in Malaysia, linked to Takata's air bag inflator. More than 16 million vehicles have been recalled worldwide since 2008 over Takata's air bag inflators, which can explode with too much force and spray metal fragments into the car. Toyota is recalling some Vitz subcompacts, called Yaris in some markets, and RAV4 crossover models made between December 2002 and March 2004. About 40,000 are in Japan, 6,000 in Europe and the rest in other markets outside North America. Toyota said it was not aware of any injury or death related to the recall. Separately, Toyota's small-car subsidiary Daihatsu Motor Co also issued a recall, in Japan, of 27,571 Mira minivehicles produced between December 2002 and May 2003 for the same reason - its first recall involving Takata inflators. About 2.6 million vehicles have been recalled in Japan so far for Takata's air bag inflators, a transport ministry official said. Takata-related recalls are almost certain to balloon after U.S. safety regulators on Wednesday ordered the company to expand a regional recall of driver-side air bags to cover the entire United States, not just hot and humid areas where the air bag inflators are thought to become more volatile. The U.S. National Highway Traffic Safety Administration (NHTSA) has given Takata until Tuesday to issue a nationwide recall, and could fine it up to $7,000 per vehicle if it doesn't comply. It remains unclear how many more vehicles that would add, but it could be in the millions, affecting five automakers: Ford Motor Co, Honda, Chrysler Group LLC, Mazda Motor Corp and BMW AG. A U.S.-wide recall of driver-side air bags could cost an estimated 70 billion yen ($600 million), Nomura Credit Research analyst Shintaro Niimura wrote in a Nov. 26 report. "Takata could need nearly 200 billion yen ($1.7 billion) of reserves in the event of a U.S. nationwide recall (including passenger-side air bags), and the company's cash-on-hand would be tightly squeezed," he wrote, noting Takata had just 8.33 billion yen of cash and deposits. NHTSA's action and the latest recalls come on the heels of an announcement by Japan's transport ministry on Wednesday that it received a report of an "unusual deployment" of a Takata air bag as it was being removed from a scrapped car on Nov. 6. The inflator was manufactured in January 2003 at Takata's Monclova, Mexico factory, and had not been subject to recalls, at least in Japan, raising the prospect of an expanded recall, the ministry said. A Toyota spokesman said the scrapped car was a 2003 Will Cypha, a Japan-only compact model that is no longer in production. Toyota said it was investigating the issue as part of its wider probe into Takata's air bag inflators. "We will take prompt and appropriate action if we find there is a need for a recall as a result of the investigation," it said. Takata shares dropped as much as 7.9 percent in Tokyo on Thursday, closing down 4.8 percent. Toyota shares eased 0.5 percent and Daihatsu shares slipped 1.2 percent, roughly in line with the broader market. Shares of Honda, Takata's top customer, underperformed other auto stocks, falling 3.3 percent. Honda had said the Takata air bag inflator that failed in the Malaysia crash had likely been exposed to excessive moisture at the supplier's now-shuttered plant in LaGrange, Georgia. A transport ministry official said no further recalls are expected in Japan related to the problem identified at the LaGrange line between November 2001 and November 2003.